Noted Seattle-based garden designer and collector Terry Welch assembled an important collection of Japanese art, which the Academy acquired in 2005 through gift and purchase. This fall the public will get to see for the first time an exciting array of paintings, calligraphy and ceramics from the Welch collection. 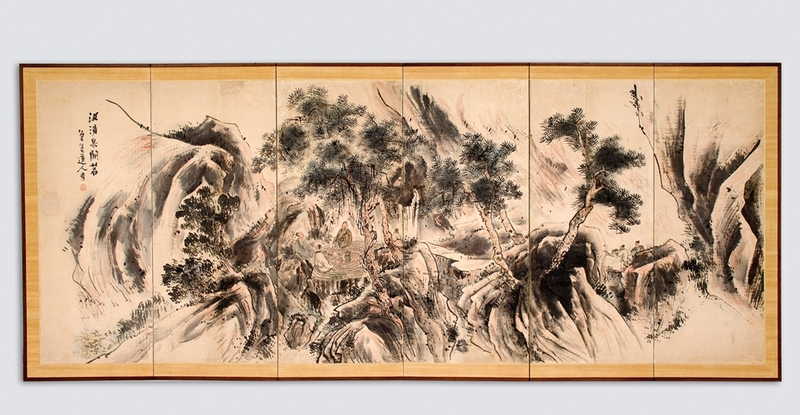 The bulk of the 84 works by 60 artists are hanging scrolls, large screens, handscrolls, and intimate albums. On view will be not only works by well-known 19th-century Japanese masters but also outstanding paintings by modern artists yet to be discovered in the West. Literati painting, known as bunjinga (also as nanga, meaning “southern painting”), was introduced to Japan in the early 18th century from China and flourished in urban communities. Even after Western culture began to eclipse Chinese influences with the opening of the Meiji era in 1868, Japanese scholar-painters continued to thrive under strong official patronage. Furthermore, the resurgence of interest among a new generation of artists during the Taishō (1912-1926) and early Shōwa (1926-1989) eras revitalized and diversified the literati movement in the 20th century. Depicting landscapes, plants and animals, and figures, the works in Literati Modern represent the themes that were important to the scholar-painter tradition: historical literati gatherings, enjoyment of friendship, collaboration among artists, idealized visions of literati life, and celebration of nature. 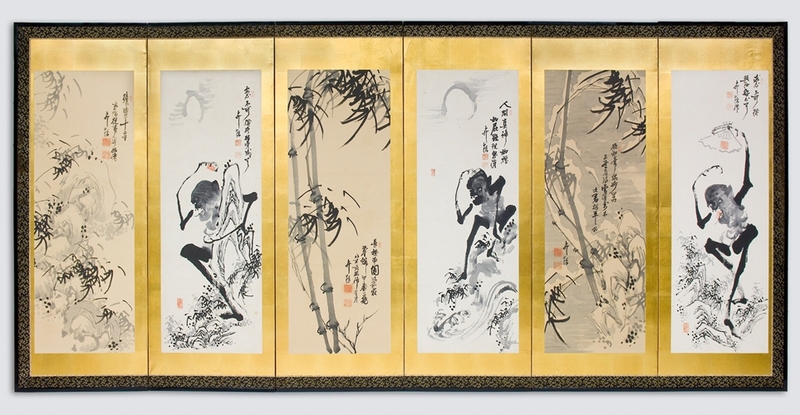 Literati Modern: Bunjinga from Late-Edo to Twentieth-Century Japan is an opportunity to examine the rich legacy of Japanese scholar-amateur painting. Hear Terry Welch and Michiyo Morioka talk about the exhibition on HPR. This exhibition and its accompanying catalogue is supported in part by the Blakemore Foundation. Additional support is provided by Flora Atherton Crichton, Richard Mamiya, Island Insurance Foundation, and Jean Rolles. Literati Modern is officially endorsed by the Consulate General of Japan in Honolulu. Read the Honolulu Advertiser review.